Marlton Football registration, please go to MRC website to get REGISTERED! The Chiefs will now compete in the bigger and better South Jersey Independent Football League! League Info here! Our new league will feature more teams and more weight classes for our kids. More flexible weight limits for our JV Program. We offer scholarship assistance to qualified families (CONTACT US FOR DETAILS). WE WILL FIND A WAY TO GET YOUR ATHLETE ON THE FIELD. Payment can be made on the MRC registration page or in-person at an equipment fitting date. Registration Fee includes: Football Reg , Rec Fee, and name on your Jersey. WHAT DOES YOUR ATHLETE GET FROM MARLTON FOOTBALL? Each player will be fully outfitted with state of the art football equipment including helmet (with new UNEQUAL head protection), mouthpiece, shoulder pads, hip & tail pads, knee & thigh pads (to be returned at the conclusion of the season) along with a PRACTICE JERSEY and GAME JERSEY that are YOURS TO KEEP as a memory of a great football experience. Each athlete will need to provide their own cleats and girdle. Your athlete will be coached by a qualified coaching staff that keeps learning the game and playing safely at the forefront of all practices and games. Your athlete will learn all the skills necessary to have an enjoyable experience playing America’s # 1 watched spectator sport. Emphasis is on teaching your athlete how to play the game at their own skill level and to be able to participate in games against athletes of similar skill and ability in order to maximize their enjoyment of the game. ALL OF OUR PLAYERS WILL PLAY ACTUAL GAMES AGAINST LOCAL OPPONENTS. Our # 1 goal is to provide your athlete a rewarding and fun experience while helping them develop characteristics and qualities necessary to be successful in a team environment. Your athlete will be part of a rich football tradition dating back to 1968. They will join the feeder program for Cherokee High School, the most successful public school football program in NJ with 9 STATE CHAMPIONSHIPS dating back to 1981. Your athlete will not only develop lifelong skills but also make lifelong friendships via a positive and supportive team building environment. 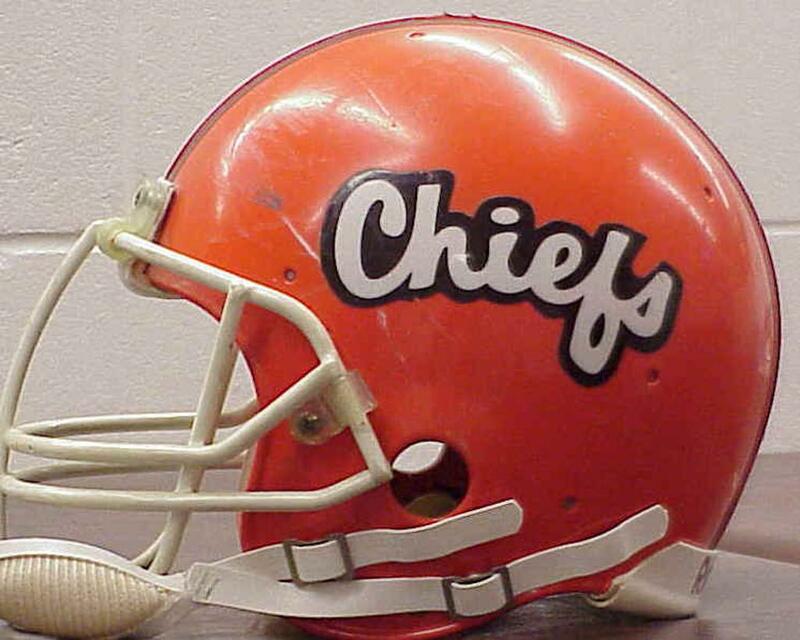 REGISTER YOUR ATHLETE NOW AND BECOME PART OF THE MARLTON CHIEFS FOOTBALL FAMILY! !